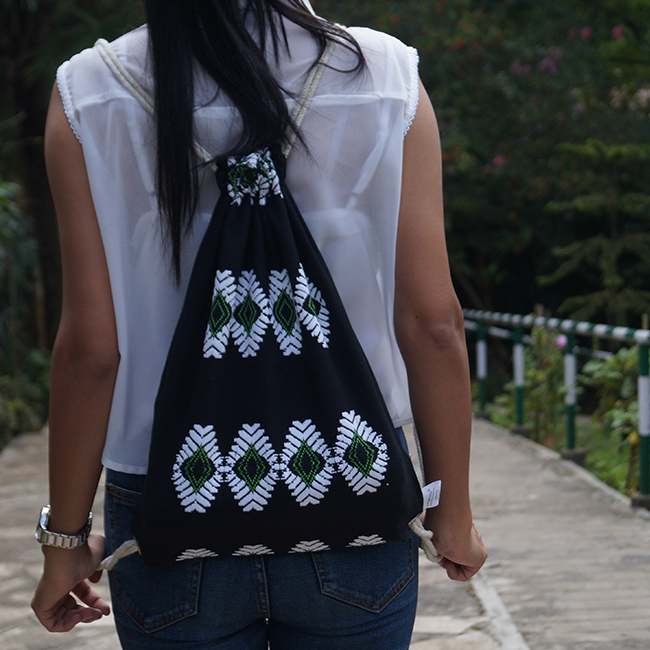 An always-cool black drawstring bag, with classic Mishing tribe motifs in white and green. 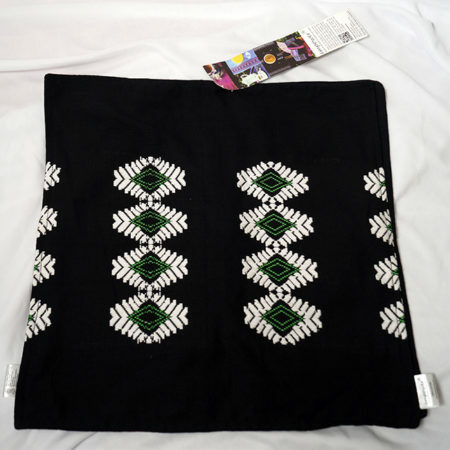 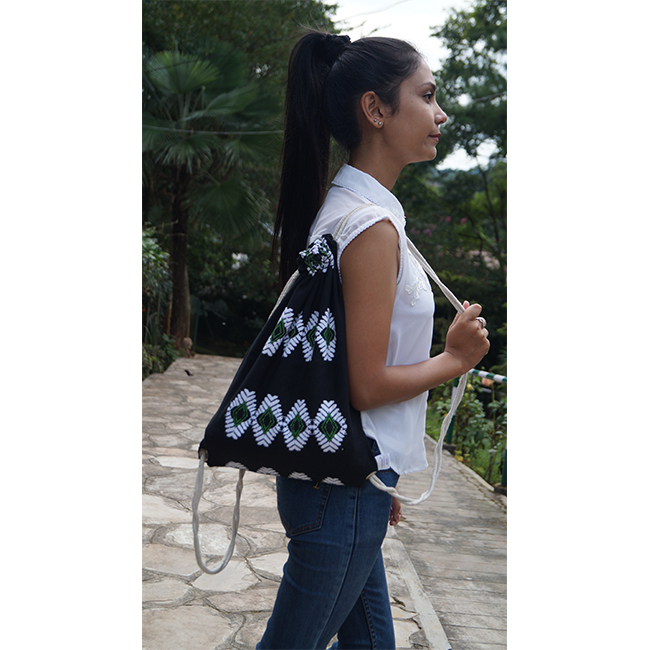 This always-cool black drawstring bag with classic Mishing tribe motifs in white and green, is a great way to carry your daily stuff around to college, work, or play. 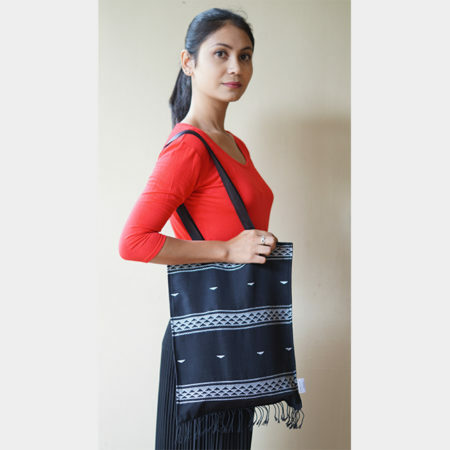 Easy to wash and iron at home, you can keep this bag looking fresh month after month! 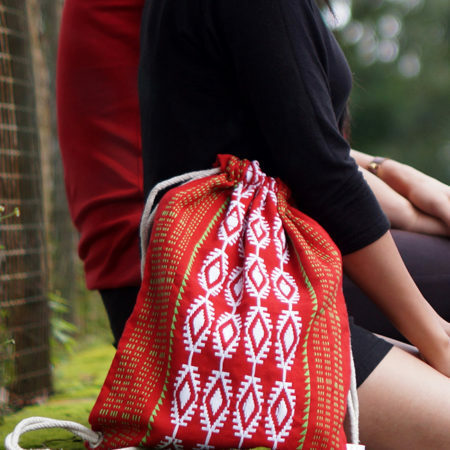 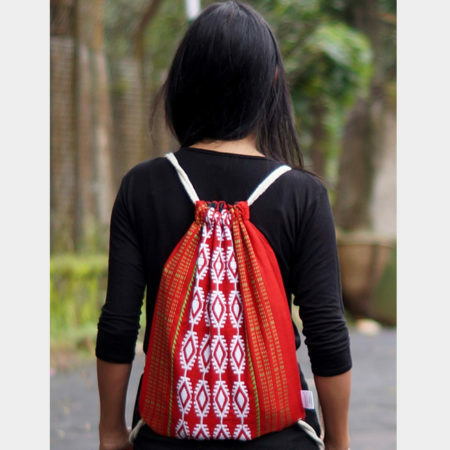 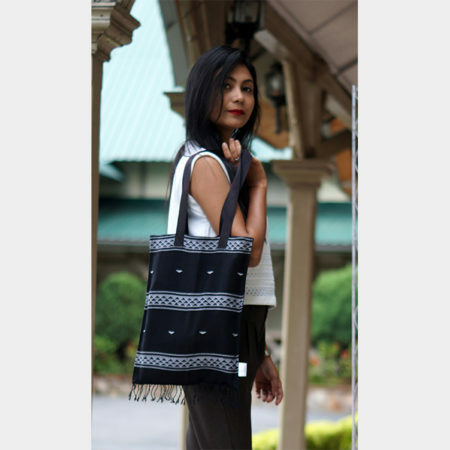 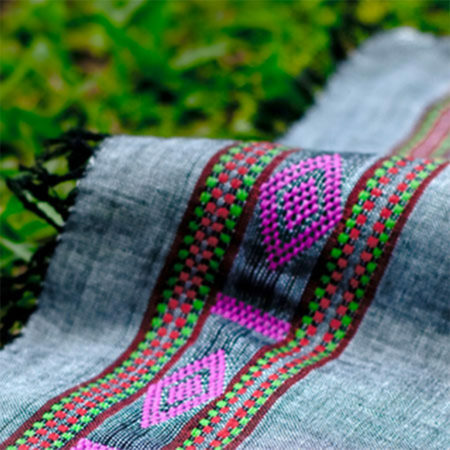 What’s more, when you buy this bag from Impulse Empower, you will not only get yourself an environment-friendly product, you will also contribute to the sustainable livelihood of women artisans across northeast India! 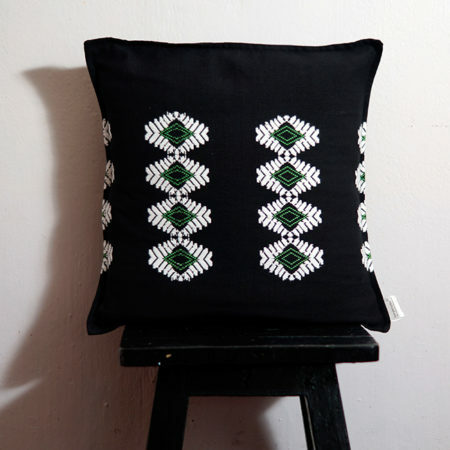 Black fabric with white motifs, and white drawstring.